1979 - 1984: Faculty of Architecture ,Technion, Haifa. 1986-1990: A planner in the Department of Planning of the United Kibbutz Movement. 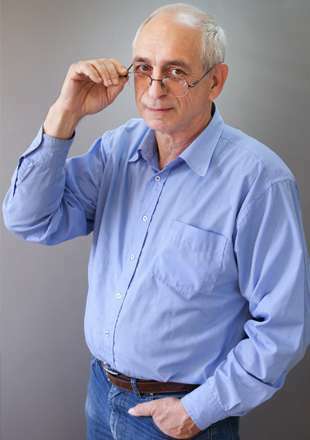 1990-2012 Senior Architect at AlefBet planners, director of the Upper Galilee branch. Academic degree: Architecture and Urban Planning. In 2012 joined the Ministry of Tourism as a tester and official programs approver for enterprises and obtaining grants. Master Plan for Tourism "Tourism in Israel Galilee" - Ministry of Tourism. Blueprint for tourist beach "beach views and vision" - Ministry of Tourism. Tourism master plan for Ramat Dalton - Tourism Association and emissions. Master plan for tourism for "Kiryat Shmona"
Country-Club Evron Garden - Evron. Beach Boardwalk - Betzet - Rosh Hanikra. Resort + Water attraction - Rosh Hanikra. Structure for students Metula (conservation). Upgrade of Hotel " Savyoney HaGalil ." Yesod HaMa'ala Junction. • Snir - 125 apartments ground-level expansion of the settlement. • Rosh Hanikra - 160 apartments in ground-level expansion of settlement. • Malkiya - 83 ground-level apartments - expansion of settlement. • Maayan Baruch- 80 units. • Misgav Am - 69 units. • Lehavot Habashan - 120 units. • Yiftah - 36 units. • Ramot Naftaly - 135 units. • Hulata - 175 units. • Kfar Szold - 160 units.